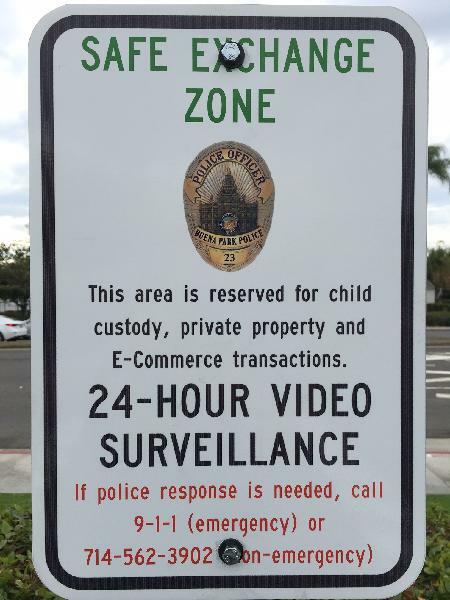 The Buena Park Police Department has established a Safe Exchange Zone! The Buena Park Police Department knows all too well that Craigslist or other exchange site transactions can sometimes go badly. Although most are safe, the Police Department receives dozens of reports each year claiming that transactions involved armed robberies, grab-and-runs, physical injury, or worse. To provide the public with a safer environment to do business, the Police Department has designated parking spaces in the front parking lot as a Safe Exchange Zone. 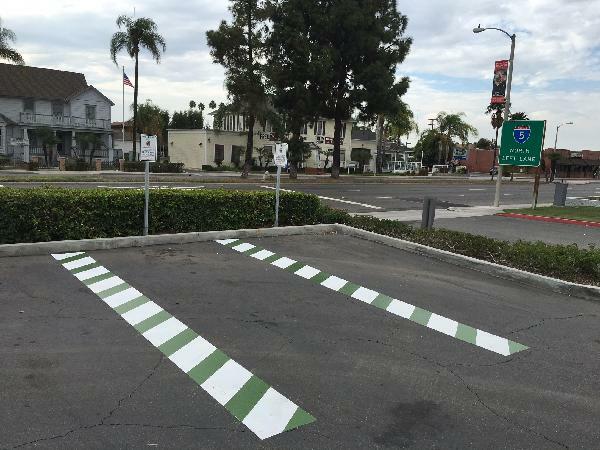 There are now two parking spaces adjacent to Beach Boulevard in the north end of the Police Department parking lot, designated as an area where members of the public may conduct child custody exchanges, private property and E-Commerce transactions, such as Craigslist exchanges, etc. These spaces are clearly marked by signage and reflective lines on the asphalt. This area is well lit and under video surveillance, which should help deter potential scammers and other criminal activities associated with on-line purchasing activities, as well as help make child custody exchanges less challenging.